No chocolate? Say it ain’t so. 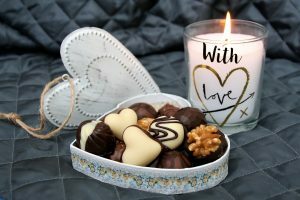 This year, St. Valentine’s Day, the day which has become synonymous with red roses, delectable treats, and romantic love, falls on the first day of Lent. And Lent is a penitential season that invites us to fast from those things which we find most attractive (chocolate anyone?). Of course, Lent is about more than simply fasting from our favorite treats and activities. It’s also a period of taking up. Because as beneficial as it is to relinquish our attachment to those things which may seem like staples in our life (chocolate, TV, social media), it is equally as important to add in practices which draw us closer to Christ (extra prayers, volunteering, more frequent reception of the Sacraments). The fact that Lent begins on St. Valentine’s Day this year seems more than a little inspired. As I wrote in my post Water Into Wine: The Battle Over Marriage, Sr. Lucia Dos Santos, one of the children from Fatima, prophesied, “The final battle between the Lord and the reign of Satan will be about marriage and the family.” It seems fitting than that this year so overtly invites us to reconnect love to sacrifice. It’s certainly no secret that our modern culture has done a fine job of distorting the very meaning of love. Love, nowadays, means seeking my own personal happiness at all costs. It means avoiding or divorcing myself from anything that causes me inconvenience, sorrow or pain. But if God is love than our human expressions of love cannot be in opposition to Him. To understand what love looks like in action we need only look to the Cross. Jesus Christ loves us perfectly. In spite of our myriad failings (then and now), He gave His life to save us. With this in mind, it should come as no surprise that Satan is about the work of perverting love. And where do we first learn to love? In the family. Therefore, his attacks are increasingly targeted toward marriage and family. Rather than sacrificing for one another, he tempts us with jealousy and selfishness. Rather than model virtue, he instigates vice. 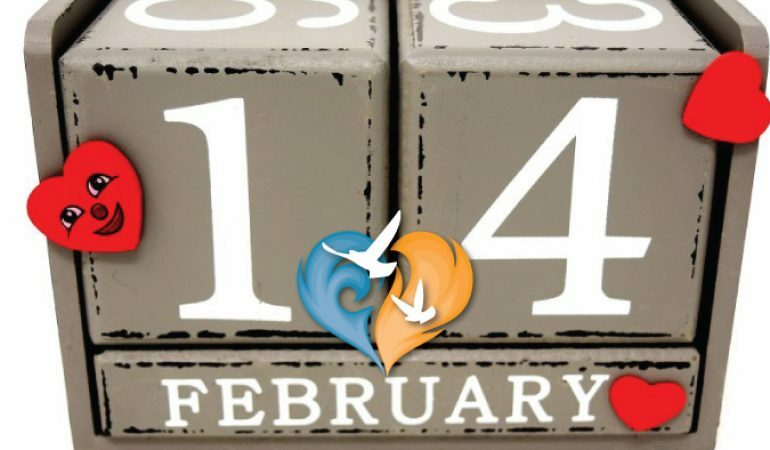 That’s why I find the combination of St. Valentine’s Day and Ash Wednesday to be providential. It offers us an extraordinary opportunity to witness to the unbreakable connection between love and sacrifice. Imagine the beauty in stepping out into the world this February 14th with the sign of the Cross traced in ashes on your forehead! While I’m still mulling over what I plan to fast from and take up this Lent, I’ve decided to take advantage of Providence’s plan by praying a novena in advance of Valentine’s Day. Better than chocolates and roses, I’m going to create a spiritual bouquet for my husband. Starting on Monday, February 5th I’m going to pray a novena for nine days to Our Lady Undoer of Knots. I will pray specifically for my spouse and our marriage and for the general intention of marriages. Since I relish my sleep and the night watch (from 3-6 AM) is a particularly powerful time for prayer, I’m planning to rise early to pray for my husband. Then, on St. Valentine’s Day I’ll give my beloved a spiritual bouquet or card with the details of the prayers and sacrifices that I’ve offered for him throughout the nine days previous. Would you like to join me in praying this novena for marriages? Together, let’s petition the Mediatrix of All Graces to shelter our loved ones within her mantle and undo the snares that distract us from loving like Christ. 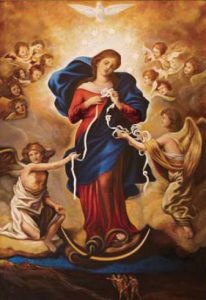 You can find the prayers and instructions for The Unfailing Novena to Our Lady Undoer of Knots at http://www.theholyrosary.org/maryundoerknots. You may find it easiest to print out a copy of the prayers or bookmark the site on your computer or mobile device. If you follow Ignited By Truth on Facebook, Instagram or Twitter consider sharing your participation in this novena to inspire others. 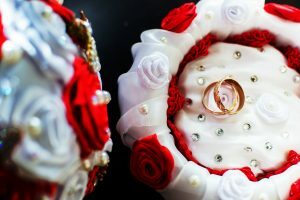 Write a post about your intentions on IBT’s Community Postings Facebook Group, share this article, snap a picture of your rosary or let us know if you have a creative idea for crafting your spiritual bouquet. Don’t forget, tickets for the upcoming Ignited By Truth Catholic Conference are now available for purchase. The conference is on April 28, 2018 at NC State Reynolds Coliseum and Talley Student Union. This year’s ticket prices are even more affordable! Why not tuck a couple of tickets into your spiritual bouquet?